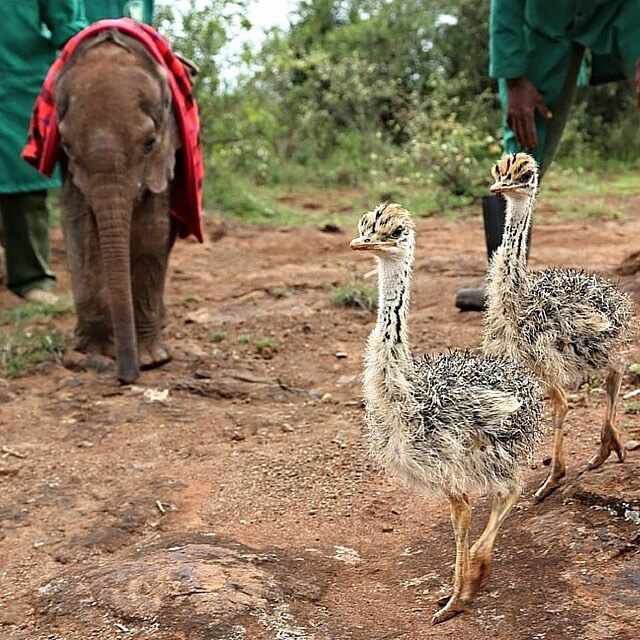 It may take a village to raise a child, but at the David Sheldrick Wildlife Trust (DSWT) in Nairobi, Kenya, it takes an ostrich to raise an elephant herd. 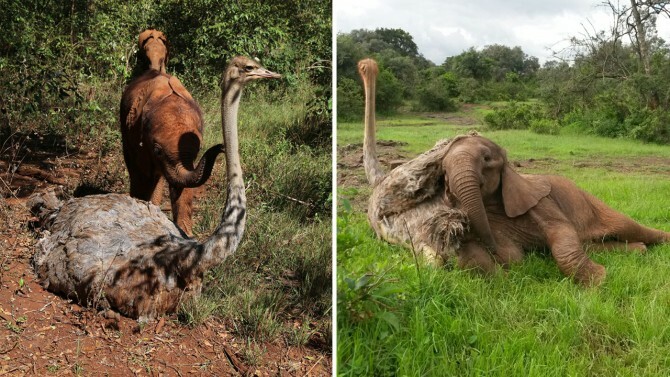 A very special ostrich named Pea was rescued in 2014 and immediately found her place as the elephants’ personal entertainer and friend. 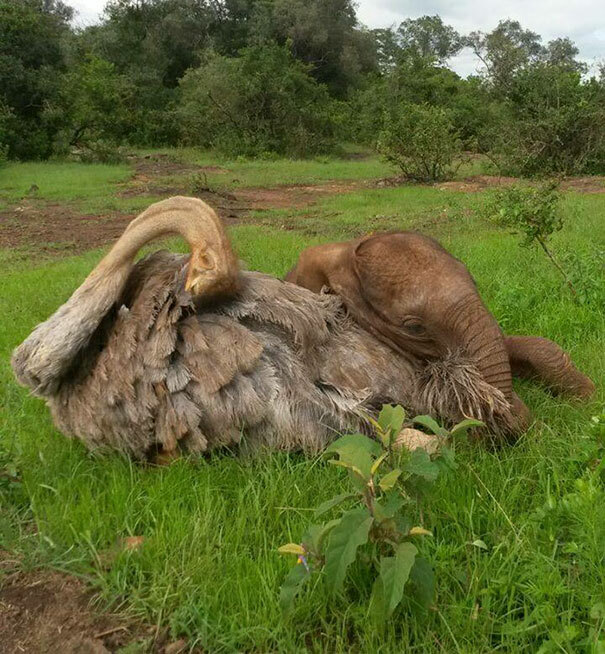 According to DSWT, the bird became an “integral part of the nursery family there” and was loved by the elephants who would hug her, play with her, and “positively maul [her] with affection.” Although Pea quickly had many friends at the elephant sanctuary, there was one elephant in particular with whom she’d create an everlasting friendship—Jotto. Jotto the elephant was just a one-month-old baby when he was discovered at the bottom of a well. 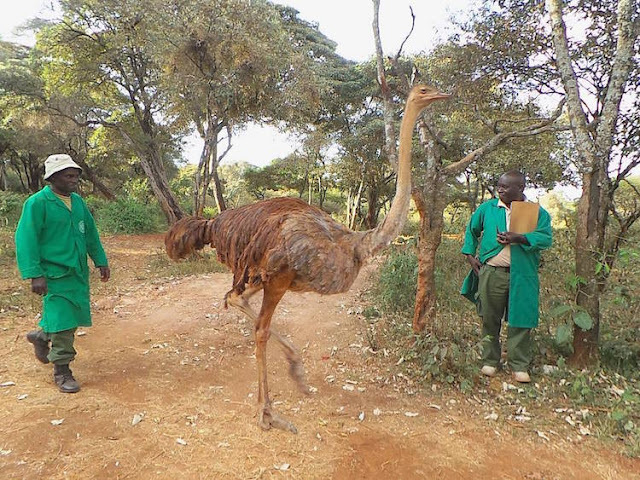 His rescue report states that he tumbled in while his keepers had taken the herd for water, and had been abandoned. Jotto was rescued and brought in to the DSWT elephant orphanage, where he could recover his health and grow strong for his release back to the wild. It’s at this very sanctuary that Jotto met Pea. 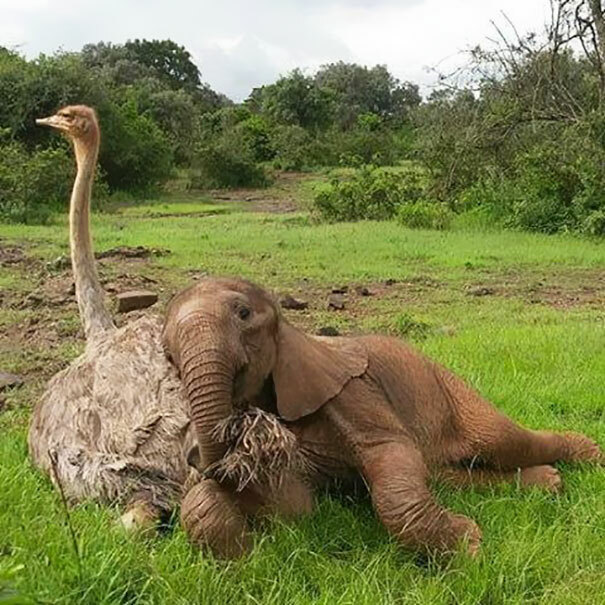 Scroll down to see the beautifully tender moments that come when two unlikely orphans are given the opportunity to feel the healing power of friendship. Pea and Jotto became friends immediately. …and so has their friendship!